Call Or Live Chat ! Each 30g Serving Provides 25.6g of Slow digesting Protein, with Zero Sugar & Zero Fat. Each serving contains 4.7g of BCAA , 4.6g of Glutamine and 3g of L-Leucine, which helps in lean muscle growth. Prevent Muscle Breakdown And Promote Lean Muscle Maintenance And Growth..
Usually delivered in 3-4 days. Enter pincode for exact delivery dates. NutriJa’s Micellar Casein provides you 25.6g of pure,slow digesting MIcellar Casein protein per serving with zero sugar and zero fat. MICELLAR CASEIN is an advanced anti catabolic protein designed to help preserve your gains and feed extended recovery potential. Casein can facilitate up to 7 hours to protein absorption. Relative to Nitrogen delivery and a longer lasting anabolic recovery phase than whey protein.Casein is the ideal protein to consume right before bed, as it’ll be more helpful throughout the night than any other protein option. Micellar Casein also provides all of the essential amino acids needed for lean muscle, including the branched chain amino acids. 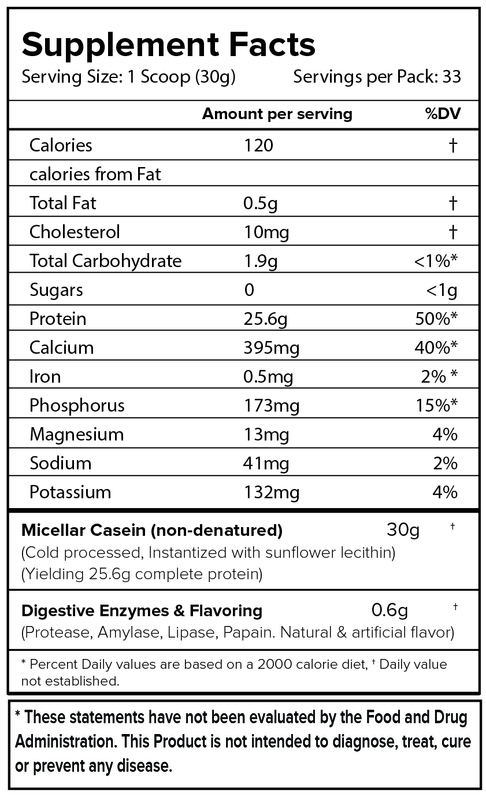 NutriJa’s Micellar Casein 85% is manufactured using Micellar Casein imported from United States of America ensuring protein quality of international standards. Also, added various digestive enzymes like Amylase, Protease, and Lactase & Lipase which helps to digest protein and keeps your digestive system healthy. Their protein supps are top notch like international quality supplements and quantity is also good in this price range . Highly highly recommend others to try all their products and yes all thier products are lab tested. AT NUTRIJA, WE STRIVE TO DELIVER INTERNATIONAL QUALITY, AUTHENTIC SPORTS NUTRITIONAL SUPPLEMENTS AT A GENUINE PRICE TO POWER YOUR FITNESS GOALS. WE IMPORT OUR RAW INGREDIENTS AND HAVE HANDPICKED OUR SUPPLIERS OF AMINO ACIDS, WHEY PROTEINS AND HERBAL EXTRACTS IN THE USA AND EUROPE. WE PROVIDE THE EXPERT GUIDANCE AND PRODUCTS YOU NEED TO BUILD MUSCLE, BURN FAT AND BECOME YOUR BEST SELF. 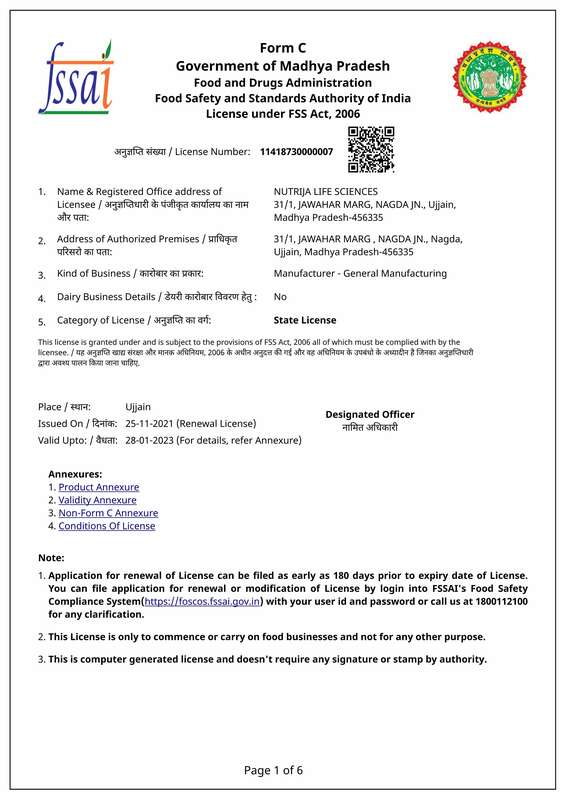 NutriJa Lifesciences, a company registered in India (FSSAI License No. 11418730000007) whose registered office is at NutriJa Lifesciences, 31/1, JM Road, Nagda, MP, India. Copyright © NutriJa Lifesciences 2016. All rights reserved. NUTRIJA™ is a trade mark of NutriJa Lifesciences. Question submitted successfully and will be answered within 24 hours.